At Sauce, we take those carefully picked beauty products to be our lawfully wedded September Favourites, to have and to hold, from this day forward, for better, for worse, for richer, for poorer, to love and to cherish, till novelties do us part. Starting now, we are excited to share with you our monthly round-up post on the best jars, tubes, and bottles among everything we have tried. There is a bit of everything: goodies for your face, body, and hair. We chose only those we couldn’t handle the thought of running out of. Full bottles worthy for sure. 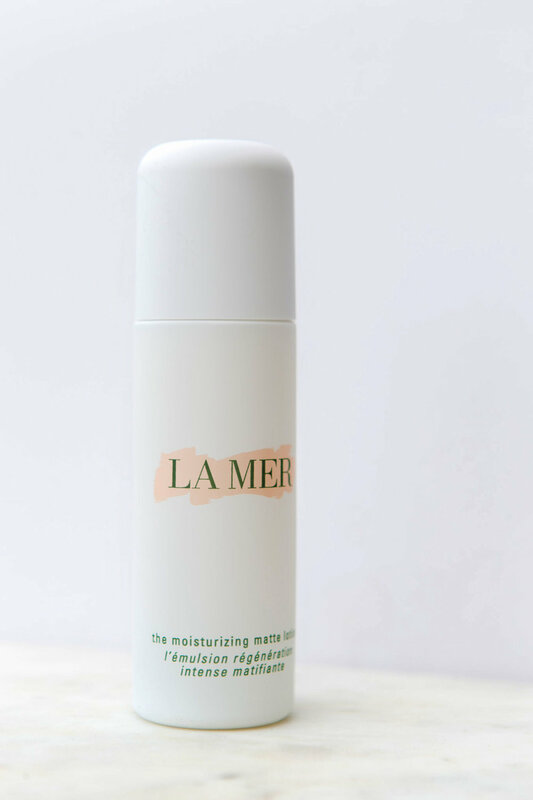 There aren’t many travel-friendly lotions in the world that won’t leak or take up unnecessary room in our bags, this newly launched La Mer The Moisturising Matte Lotion is only 50 ml but incredibly useful with its multi purpose benefits and weightless texture. It nourishing, will minimise any shine on your T-zone, and prep your skin for a smooth make-up application. Girl Undiscovered, a New Zealand brand with a tight edit of natural, hardworking skincare products. We love everything about Girl Undiscovered, from its ethos to its packaging. We can't stop talking about their increadible mask (a must in every beauty cabinet). The newest release—Stars Aligning Face Elixir Oil is an essential for stressed and tired skin. The key ingredients : cold-pressed coconut oil, thanaka tree bark extract, and kanuka honey—basically the new manuka, guys. We highly recommend giving yourself a crystal facial using the oil. Clink on the link here for the how to video. This facial is everything. 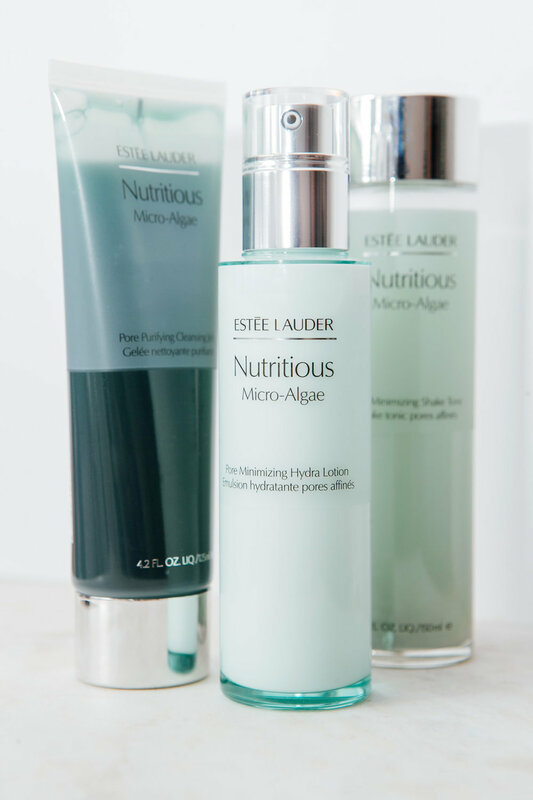 We are pretty excited to introduce you to the new Estée Lauder Nutritious Micro-Algae series launched in June '17. With key ingredients – chlorella, spirulina, and laminaria saccharina. The entire range is suitable to oily skin type to help control sebum production. For best results, use it in conjunction to one another. Cleansing Jelly goes first and removes all your make-up and product build up, then dual-phase clay-infused Shake Tonic steps in to shrink your pores, and last but not least, Hydra Lotion takes action—basically moisturises the skin and leaves it with a luminous glow. Available here, $56 for Pore Purifying Cleansing Jelly, $68 for Pore Minimising Shake Tonic, $74 for Pore Purifying Hydra Lotion. Here goes the dull skin saviour. Lancôme The Illuminating & Purifying Exfoliating Mask—a newbie to the famous Énergie De Vie collection. Introduced in 2017, a year later than the launch of the collection itself. Claims to be a 2-in-1 facemask that exfoliates and hydrates the skin at the same time is fully right. Packed with jojoba and lemon peel, it brings a healthy glow to your skin in an instant. What to expect? This product will truly wake your skin up and make it appear bright and dewy. Not to mention, the neon green adds that extra oomph to your beauty shelf game. Available at Farmers and selected pharmacies, $89. 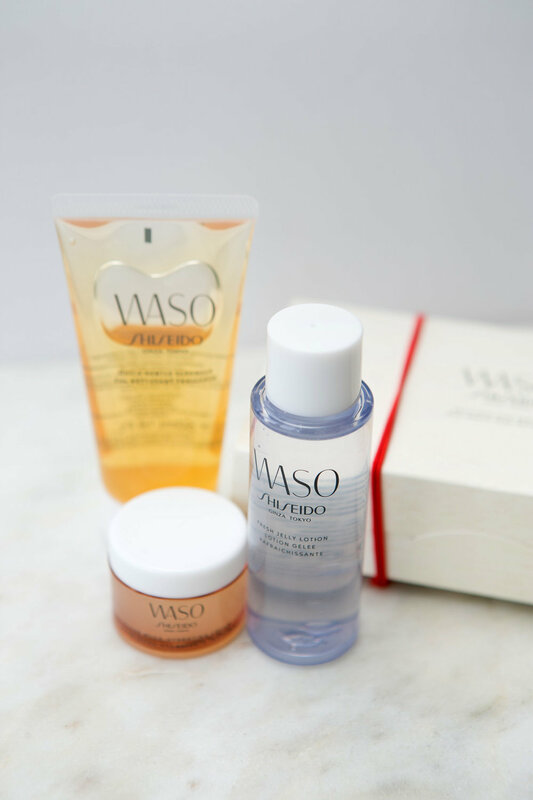 The biggest launch of the year has been Shiseido’s little baby—WASO, which means ‘simplicity’. Nicely designed and the minimalistic packaging says it all. The inspiration comes from Washoku, a Japanese philosophy. That’s why the most important components of those gorgeous tubes and bottles are carrots, tofu, and white jelly mushroom. Try introducing to your skincare routine these little treasures via WASO Bento Box. Available at Shiseido counters, $35 for the Bento Box. One more Estée Lauder’s gem that we fell in love—Advanced Night Repair Eye Concentrate Matrix and it is a total bliss. Extremely gentle, it reduces puffiness and dark circles. Worth mentioning is a 2X concentrated infusion of Hyaluronic acid that delivers serious moisture to the thinnest skin on your pretty face. A customised massage applicator will also make your life slightly easier. Another great and affordable toner is Garnier SkinActive PureActive Sensitive Anti-Blemish Gentle Toner. This brand went far beyond its Micellar Water that went viral and created a toner that takes care of skin imperfections. Salicylic acid is in charge of purifying and tightening pores as well as treating acne. Meanwhile, witch hazel extract is there to soothe the skin. As a bonus, this product visibly improves all the unwanted skin marks: post-acne, scars, and fine lines. Available at from supermarkets and selected pharmacies, $13.99. 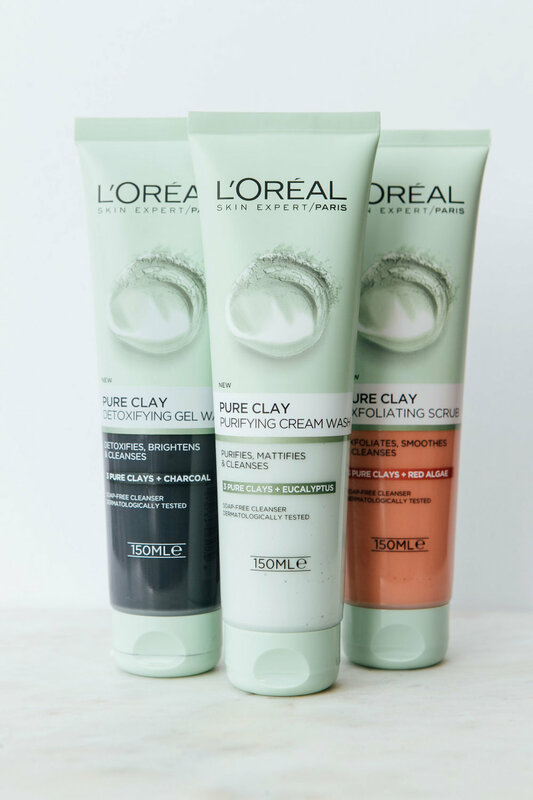 We all loved the multimasking introduced by L’Oreal Paris, and recently, Pure Clay collection’s got a whole lot better. It is now cleansers’ turn. It features three soap-free cleansers, which are all based on three pure clays—kaolin, montmorillonite, and ghassoul. Well, three is the lucky number. Wash away imperfections they say. Because you’re worth it, they say. We couldn’t agree more. The Detoxifying Gel Wash stars charcoal—known for ‘absorbing’ impurities and brightening the skin. Purifying Cream Wash’s special guest is eucalyptus—really good for oily skin, thanks to its mattifying qualities. Exfoliating Scrub is full of red algae and micro-grains that remove dead skin cells and bring you that healthy glow. Here is one more extremely affordable beauty product to incorporate into your skincare routine. Frank Body Glow Mask (from MECCA Cosmetica) is the new addition to an Australian brand we all know and love, thanks to its famous coffee scrubs. This mask features shea and cocoa butter, goji berry extract, cranberry, raspberry, and Arabic coffee seed oil. An ultimate Sunday night goal, to outglow everyone at the office on Monday morning. Puffiness, bye-bye. Lancôme has one more new product worth mentioning—Advanced Genifique Sensitive Dual Concentrate. If only there were a product for all those bad days we’ve got. Oh wait, that’s what they say—bad skin days solution. Serum’s key ingredients are vitamin E, centella asiatica, and ferulic acid—a powerful antioxidant. It is even suitable to the most sensitive, dry, and itching skin—exactly what everyone needs after winter or long-haul flights. Let’s call it our SOS. Another August's great launch that shook all the perfumistas in New Zealand. Kenzo World is more than just a scent—it is a whole philosophy in a perfume. Packed into an all-seeing eye, it is a definitive yes to freedom of expression, diversity, and creative flow. Kenzo has always been known for its floral but fresh scents, but in a collaboration with an exceptional perfumer Francis Kurkdjian, the brand has clearly outdone itself. The master of scents is never scared to mix what others may think is un-mixable. Peonies and jasmine emphasise each other qualities and create a perfect yet unique bouquet. Isn’t it what every girl needs? The key note of the fragrance is yet refreshing—crystals of ambroxan. Such a keeper. Available here, $108 for 30 ml, $153 for 50 ml, $181 for 75 ml. Now is your SO’s turn. All the fans of Emporio Armani’s bestseller ‘He’ would find a nice alternative for spring and summer seasons in this cologne. Starting with the packaging—it’s nice and bold and nothing distracts you from the scent that’s hidden inside. 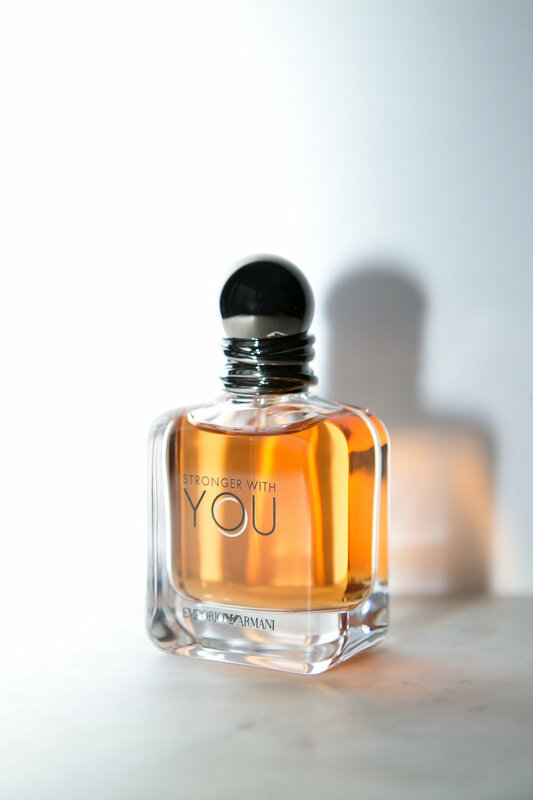 Launched in June 2017, Emporio Armani Stronger With You perfume for men was developed by perfumer Cécile Matton as a better half of Because It’s You perfume for women—they complement each other and represent that perfect union of man and wife. Warm and spicy, here comes the light scent that is yet mature and confident. Pink peppercorn and cardamom top notes are the most obvious ones but just for a couple of seconds and it quickly blends into sweet and smoky chestnut, vanilla, and sage. Available here, $87 for 30 ml, $107 for 50 ml, $148 for 100 ml. Guess, who’s coming to dinner? James Franco! Franco is the face of Coach for Men fragrance. This perfume was made for a cool and modern American guy. Are you curious what it smells like? One word—youthful. With top notes of green nashi pear and kumquat, and vetiver and suede as middle notes. Within several hours, this woody aroma will become your skin scent, and when it happens, you feel nothing else but an instant urge to spray some more. Available here, $97 for 60 ml, $128 for 100 ml. Nicknamed a pizza slicer by all the bloggers in the world, this newly launched M.A.C Rollerwheel Liquid Liner is an eyeliner 2.0—the game changer. It is easy to use if you have those shaky hands and always struggle with evenly applying eyeliner on both eyes. Perfect for those thin and sharp geometric lines. It sells in four shades and more importantly in different finishes—matte and shiny. 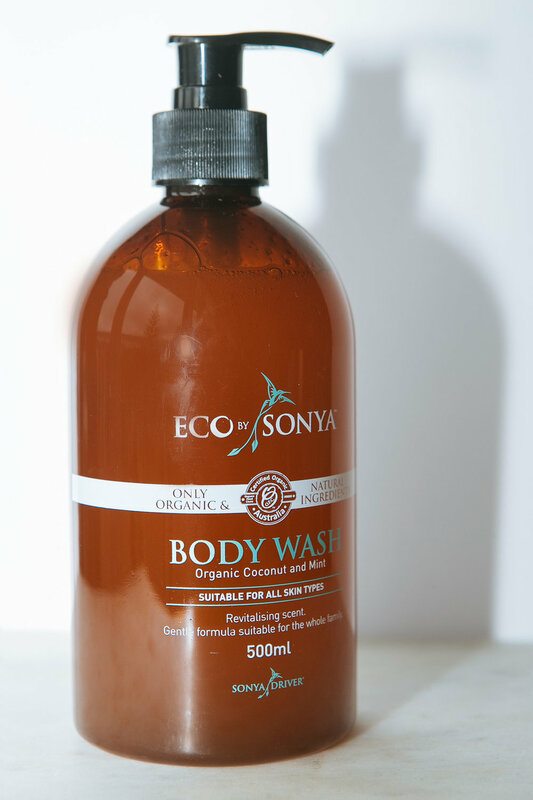 For all those coconut loving hearts in the world, we have Eco by Sonya Coconut Mint Body Wash. Like showering in a Pina Colada they say and we’re game for that. This almost-never-ending 500 ml bottle of pure goodness can find its place not only in your shower but also beneath your bathtub or kitchen sink. Gentle and free from all the synthetic ingredients, harmful chemicals, SLS and soap— yay to this. Moving on to the hair topic, we have something important to share. Ladies, you should stop underestimating hair scrubs this instant. Why? We will give you three major reasons. Number one, your scalp is skin too, you know. Exfoliating your scalp is pivotal to having gorgeous hair, as it helps to get rid of dead skin cells. Number two, it stimulates circulation and lets your hair grow faster. Number three, detoxifying your scalp once a week can put a stop to your hair getting too oily too fast. Who doesn’t wish to have a break and expand the time between washes? The Body Shop Fuji Green Tea Cleansing Hair Scrub is a step even further—uniting a shampoo and a hair scrub in one product. Our verdict is yes, try it ASAP. Finishing with a hair collection that is worthy—Matrix Biolage R.A.W. (real, authentic, wholesome). Less is more they say while removing non-essential ingredients from the list. Products with 70 to 100% natural-origin ingredients have no side effects at all. Nothing harmful has been spotted inside—no sulphates, silicones, parabens, or artificial colourants in any form. Good point—the whole R.A.W. collection concentrates not only on caring but also on styling. Texturising Styling Spray with matcha green tea, for instance, is a must for nailing the beach waves look.